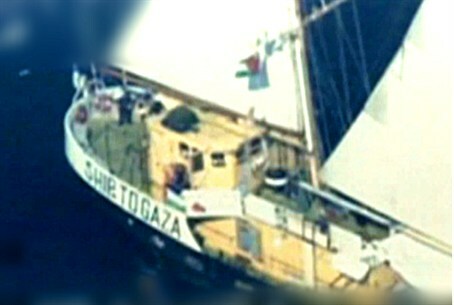 The IDF has confirmed that there was no humanitarian aid on the Estelle, the boat which sought to break Israel’s naval blockade on Gaza. The IDF has confirmed that there was no humanitarian aid whatsoever on the Estelle, the boat which sought to break Israel’s naval blockade on Gaza. Earlier on Saturday, Israeli troops boarded the boat, which was carrying 17 passengers, among them five parliamentarians from Europe and a former Canadian lawmaker. The IDF said the boarding was carried out only after "numerous calls to the passengers onboard" which went unanswered.